For hours, Alicia Skrenes paced around a hotel room two hours from her home, waiting to be far enough along in labor to go to the hospital. Skrenes had been in labor twice before, and both times resulted in a C-section. This time, after months of frustrating research, meeting with 10 doctors and two doulas, calling advocacy groups and learning about birthing options, she was determined to have a vaginal birth, but had not found a hospital in her area that would accept her plan. Skrenes’ story is not unique. Some women who have had one or more cesarean sections, like she did, may want to give birth vaginally with their next child, a practice known as a vaginal birth after cesarean, or VBAC. VBACs are controversial in the American medical community, and some hospitals or doctors refuse to perform them, despite guidance from the American College of Obstetricians and Gynecologists that they are a safe option for many women. After having a C-section, women may want a VBAC because they want to avoid major surgery, have a religious or personal preference or had a traumatic C-section experience in the past. But hospitals or doctors cite their own reasons for refusing VBACs. It’s faster and easier for a practitioner to schedule a C-section than to wait for a patient’s labor to progress naturally, and, a new international review suggests doctors may choose C-sections to guard against malpractice lawsuits. A new international review suggests doctors may choose C-sections to guard against malpractice lawsuits. Meanwhile, some pregnant women who want VBACs are putting themselves in risky situations because they can’t find a hospital or care provider who will allow them to try. Some resort to driving themselves hours while in labor, alone. Others leave a hospital mid-labor to find another doctor. They’ve had doctors refuse care during childbirth, and the hundreds of hours, sometimes months, spent on research, appointments and searching for a care provider take their toll. In some cases, C-sections are medically necessary, even life-saving. But cesareans come with serious risks, such as higher chance of blood loss, infection, issues with the placenta and a higher risk of maternal death than with a vaginal birth. And additional risks arise for someone planning to get pregnant again, like the chance of placenta accreta, where the placenta grows into the uterus, often at the site of the scar. Nine out of ten women with placenta accreta will need a blood transfusion to avoid bleeding out. The World Health Organization (WHO) recommends an ideal C-section rate of 10 to 15 percent of all births. The current rate in the US is 31.5 percent — about one in three babies. Black women are more likely to have medically unnecessary C-sections, and have a higher rate of maternal mortality overall. According to the WHO, maternal mortality rates don’t improve if the C-section rate is over 15 percent. This creates a compounding problem: If C-section rates continue to rise, and many care providers won’t allow VBACs, subsequent births are likely to be by cesarean too, driving the rate up even further. Disagreement about VBACs often centers around childbirth complications that can come up if a woman has had a past C-section. According to the American College of Obstetricians and Gynecologists (ACOG), a mother’s uterus has less than a 1 percent chance of rupturing at the site of a C-section scar if she attempts a vaginal birth. That risk increases to a little less than two percent after two or more C-sections. That percentage is the focus for a huge debate between patients and providers. But for Carol Gurney, who practiced high-risk obstetrics in a rural Iowa family clinic for 17 years, the risk is palpable. In some areas of the U.S., it can be very difficult to find a hospital or doctor who will support a woman attempting a vaginal birth after cesarean, or VBAC. Uterine rupture during a vaginal birth at the site of the C-section scar can range from manageable — treated after the birth with stitches — to deadly. For Gurney and other practitioners, sometimes, the consequences of a VBAC gone wrong can far outweigh the benefits of offering one. Obstetricians and gynecologists are among the most-sued medical professionals in the U.S., with 85 percent saying they had been sued for malpractice at least once in Medscape surveys from 2015 and 2017. In some areas of the U.S., it can be very difficult to find a hospital or doctor who will support a woman attempting a VBAC, said Lori Swain, president of the Oregon affiliate of the American College of Nurse-Midwives. Twenty-six states have laws with restrictions on VBACs limiting them to hospital settings, meaning, in certain states, midwives can’t offer them at birthing centers, smaller family clinics or home births. With rural hospitals closing across the board, this can limit options in many areas. Erica Myers, a nurse in Delaware who is currently seeking a VBAC, said she drives three hours weekly to and from the Pennsylvania border to the only hospital she could find with a VBAC-supportive midwife. “There are whole towns, whole counties here where you can’t get a VBAC,” said Justen Alexander, vice president of the International Cesarean Awareness Network, referring to her native Alabama. 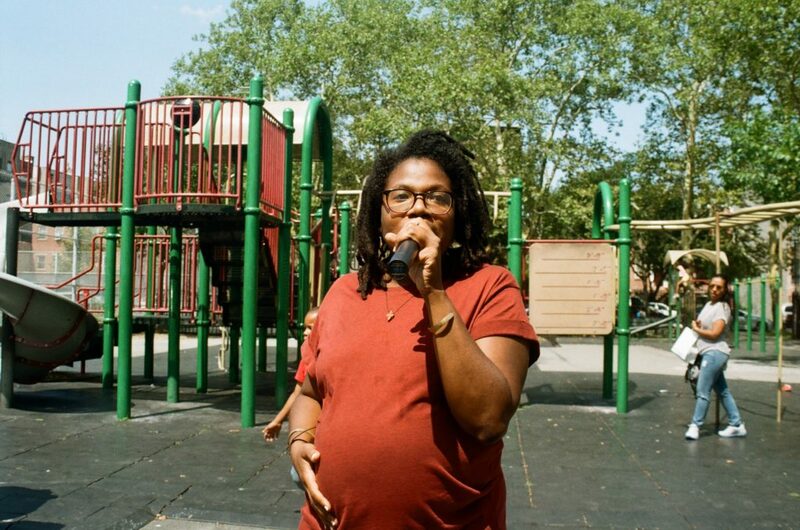 Chanel Porchia, founder of Ancient Song Doula Services in Brooklyn, New York, said only a handful of New York City-area hospitals are VBAC-supportive. A new international review of existing research on decision-making in birth backs up what VBAC advocates say they’ve known for a long time, and some care providers openly acknowledge: that some doctors perform C-sections defensively, to lower the risk of a lawsuit. “They’re sued more often for not doing a C-section than for doing it,” Lusero said. Gurney said the fear of being sued can be a deciding factor for providers. “If you’ve done a C-section, that’s considered the most you could have done, you’ve done literally all you can to save the mom and baby,” she said. Fear of litigation, combined with conflicting interpretations of the different risk factors, can sometimes turn practitioners and patients against each other, Alexander said. When Porchia had her own VBAC, she chose to do it at home with a midwife. She said that after her years working as a doula, she thought there was very little chance of being able to go through with a VBAC in a hospital. Press three, and the message will ask whether the caller is currently in labor. Press two for yes, and you’ll be connected to one of ICAN’s volunteer representatives, many of them with legal or medical backgrounds. Alexander said she fields many of the calls herself, and has talked through hospital situations with countless women. ACOG issued guidelines in 2016 stating that pregnant women have the right to refuse treatment, including a C-section. “It is not ethically defensible to evoke conscience as a justification to attempt to coerce a patient into accepting care that she does not desire,” the guidelines say. Why is the risk of death during pregnancy going up in the U.S.? Column: Why can’t more American women access medications for preterm birth?